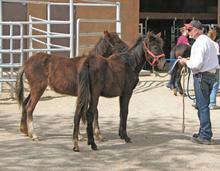 NOTE - This case is from 2009 and none of these horses are at Four Corners Equine Rescue. Thanks for you interest in them! 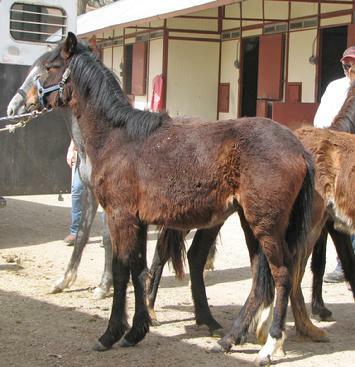 Ten Peruvian Pasos were seized on 4-24-2009 and are currently in the custody of FCER while their fate is determined in the legal system. 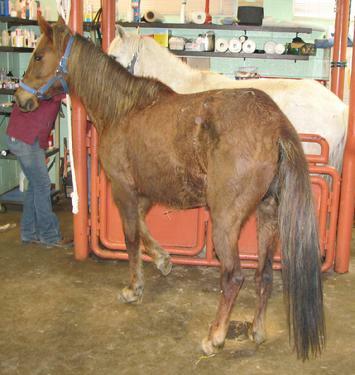 This process can take some time, during which FCER will undertake rehabilitating all the horses. 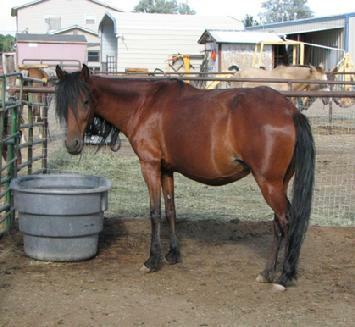 Four of the mares are in foal for 2010. 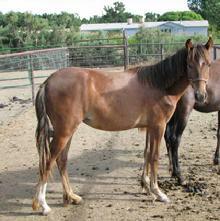 Two of the yearlings are colts, and cannot be gelded until their ownership is determined in court. 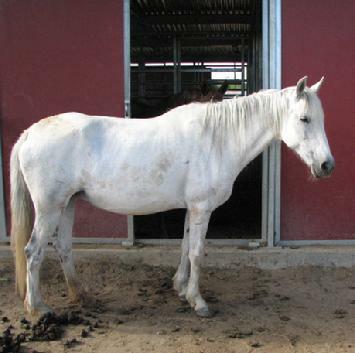 Please consider helping pay for the cost of rehabilitation, as FCER relies solely on the generosity of our supporters to cover the cost of the hay, feed, vet, and farrier bills. 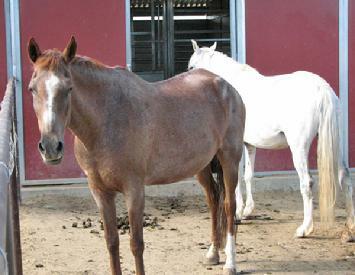 These horses need your help! You can be part of making their life better. UPDATE - 5-4-09 Four of the mares were came to the rescue from the vets today. The rest won't be far behind! UPDATE 05-17-2009 Everyone is at FCER now, with the yearlings arrival on 05-06-09. Court date for the Disposition Hearing is scheduled for Friday, May 22nd. UPDATE 06-25-2009 At the hearing in Cuba Magistrate Court the case was bound over for trial, tentatively scheduled for August 7th. 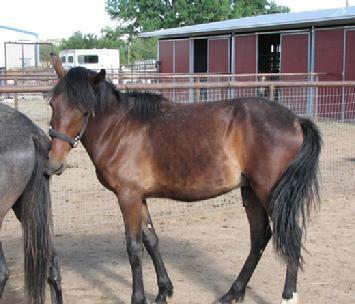 The horses are to remain at FCER until trial. UPDATE - 07-30-2009 The trial has been rescheduled for August 21. 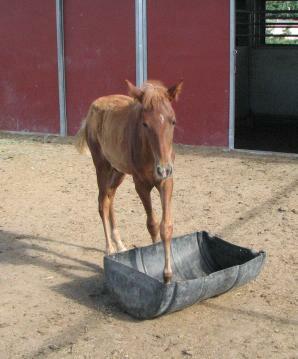 All the horses are doing great! They're ever more comfortable with people, and we encourage that attitude. Meeko is growing like a weed, and will soon need his feet trimmed. 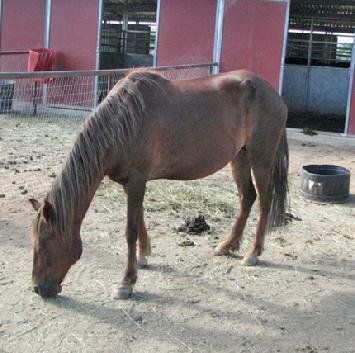 Canella gave us a scare with a uterus infection, but it has resolved, and she's still in foal. Fiona and Cassie, our shy little mice, are coming around, and the boys are rambunctious and looking good! Cloud, Spice and Spirit are all improving daily, and wearing fly masks to help with their eyes. 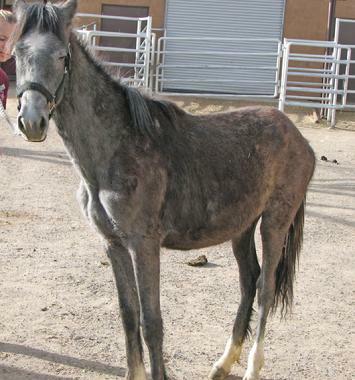 Cascade has accomplished the near impossible - gaining weight while nursing - and she's looking good! UPDATE - The court date for Aug. 21st has been postponed to Sept. 4th. UPDATE - The court date for Sept. 4th has been rescheduled to Oct. 8th. UPDATE - The court date for Oct. 8th is rescheduled for November 5th. UPDATE - New court date is November 19th. UPDATE - New court date is December 3rd. UPDATE - 01/13/2010 The Judge has signed the Final Order of Disposition, and the Pasos now belong to FCER! And just in time - as Canella has delivered a beautiful colt, and 2 more of the mares will be delivering soon. 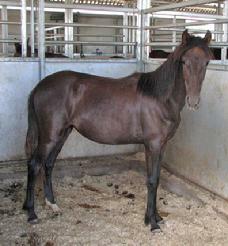 The Pasos are now AVAILABLE FOR ADOPTION! 06-24-10 Crimminal Case Review - Postponed, no new date set. 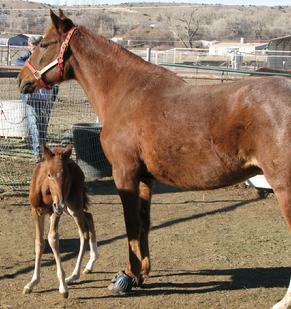 Canella and her new baby - a colt born on 1/10/2010. As with all babies, his focus is on 3 things - eating, sleeping and trying to keep all 4 legs and feet going in the same general direction. 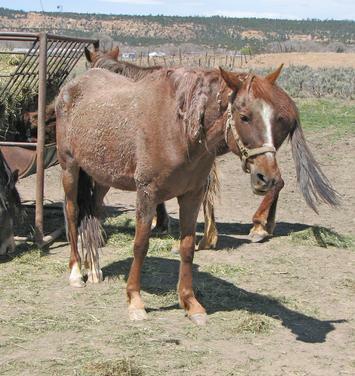 Your help in caring for these very neglected horses is greatly appreciated. 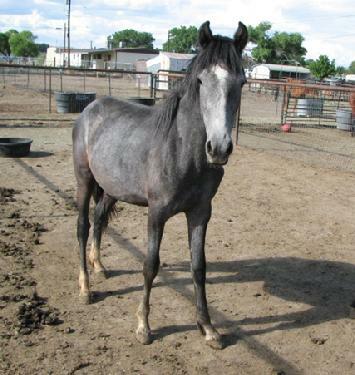 As you can imagine, taking on 10 horses that require extra food, supplements and vet care is quite an undertaking, and FCER relies on the generosity of our supporters to continue this life saving work.